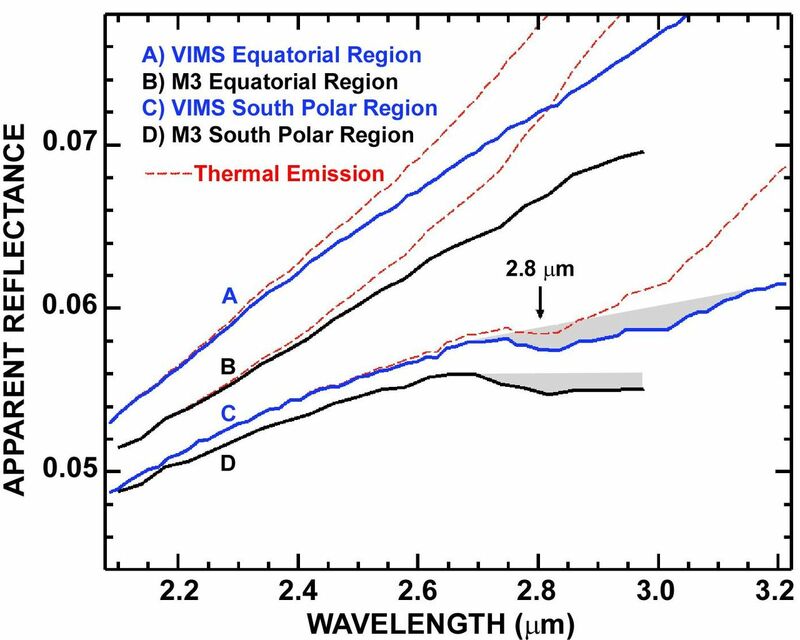 This graph compares detailed measurements of light from the moon, called spectra, taken by the Visual and Infrared Mapping Spectrometer (VIMS) on NASA's Cassini spacecraft and NASA's Moon Mineralogy Mapper instrument on the Indian Space Research Organization's Chandrayaan-1 spacecraft. 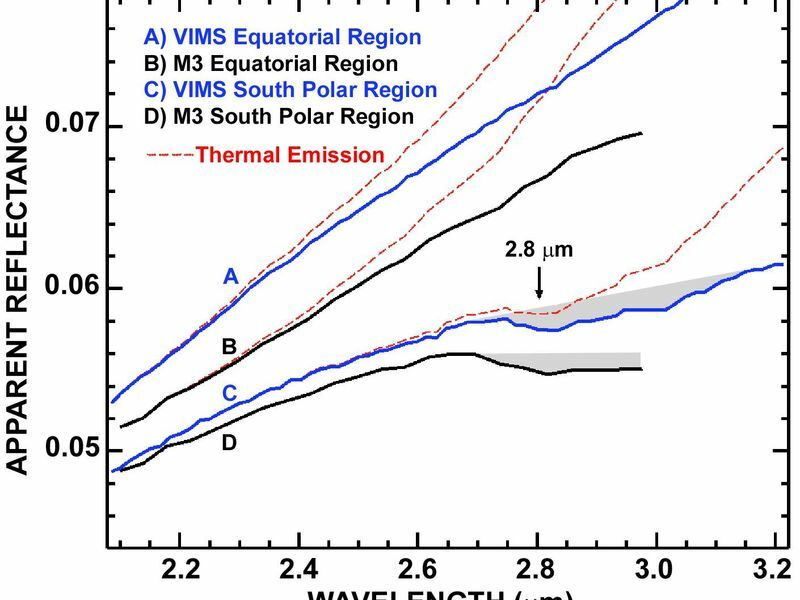 The agreement between the two spacecraft is an excellent confirmation of the existence of water and hydroxyl (gray regions on the graph where wavelengths of infrared light range from 2.7 to 3.2 micrometers). 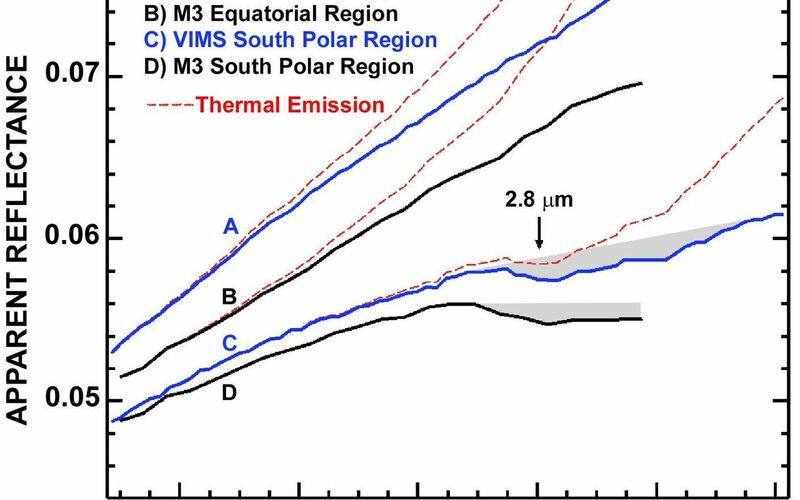 The red dashed lines show the thermal emission, or heat, from the moon, which must be removed to better see the signature of water. The solid lines are the spectra after this thermal emission was removed.